I’ve only seen Mod Podge Dimensional Magic used on jewelry, but I love this idea of using it to create a cute piece of artwork. 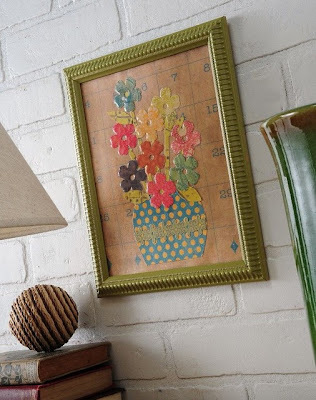 This idea comes from Crafty Life and Style. Via Crafty Life and Style. Thanks for the shout out. Mod Podge Amy is amazing and we love her and her great blog called Mod Podge Rocks. She is very talented.